CrossFit Gymnastic Skills Class – with Melissa Lopes! 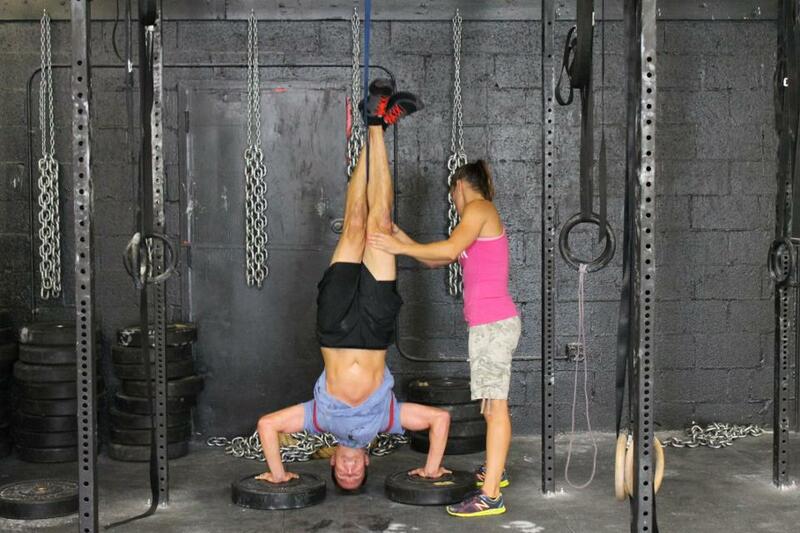 Melissa is offering 6 seperate spots in a Gynamstic Skills Class at CrossFit OldTown. Lopes will guide you through the basic gymnastic skills that you need to become a better, more well rounded athlete and CrossFitter. Melissa’s goal in this course is to aid CrossFitters in using gymnastics for strength development, core control, and WOD progressions. Result: you will become more engaged in using one of the foundational blocks for CrossFit workouts – Gymnastics. Melissa Lopes is head coach and chief in charge from 12:00pm-close at CrossFit OldTown. Melissa has always had a passion for movement. It wasn’t long after she discovered CrossFit that she developed a desire to coach and help others to attain their goals. In August of 2008 she attended the Level I Instructors course, left her career of 9 years and jumped headlong into coaching CrossFit. Since then she has received her Olympic Weightlifting, CrossFit Endurance and Basic Barbell Certifications, and is currently pursuing a degree in exercise science. Melissa finds few things that are as rewarding as coaching people to their personal goals, whether it be an athlete loosing 75lbs, getting their first pull up, or completing their first IronMan.